A. Caecilius A.f. 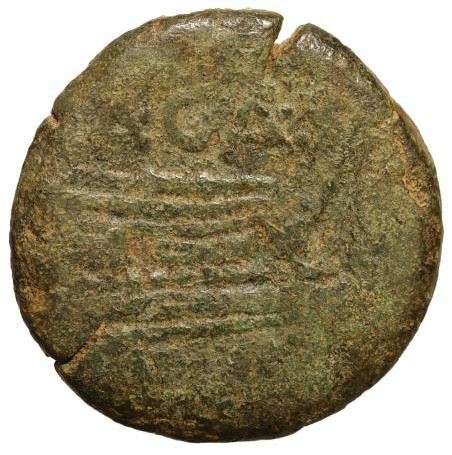 was one of the moneyers for the years 169-158 BC. He is not otherwise known. Gens Caecilia was a plebeian family at Rome. Members of this gens are mentioned in history as early as the fifth century BC, but the first of the Caecilii who obtained the consulship was Lucius Caecilius Metellus Denter, in 284 BC.